I ams still working on making Christmas Gifts and forgot about making cards, lol I should have started way earlier with my projects, lol I made a quick card with minimal embellishing. Tilda is colored in DI my favorite medium and I layered more colors in this one than I usually do. If I have time to color then I experiment more and learn but otherwise it is just get it done. Thanks for stopping by and hope no one is stress about getting it all done, make it joyful and let it go. That's so cute, Kelly - I love the traditional red and green, especially those stripy stockings!! Lovely doily layers and frames too. Bwhahahahaha...you're adorable! To quote you, "minimal embellishing" I got lost counting the layers and this has stuff going all over the place, not to mention it's mind blowing the sparklies and colors and animation!!! Your card is GORGEOUS!!!! 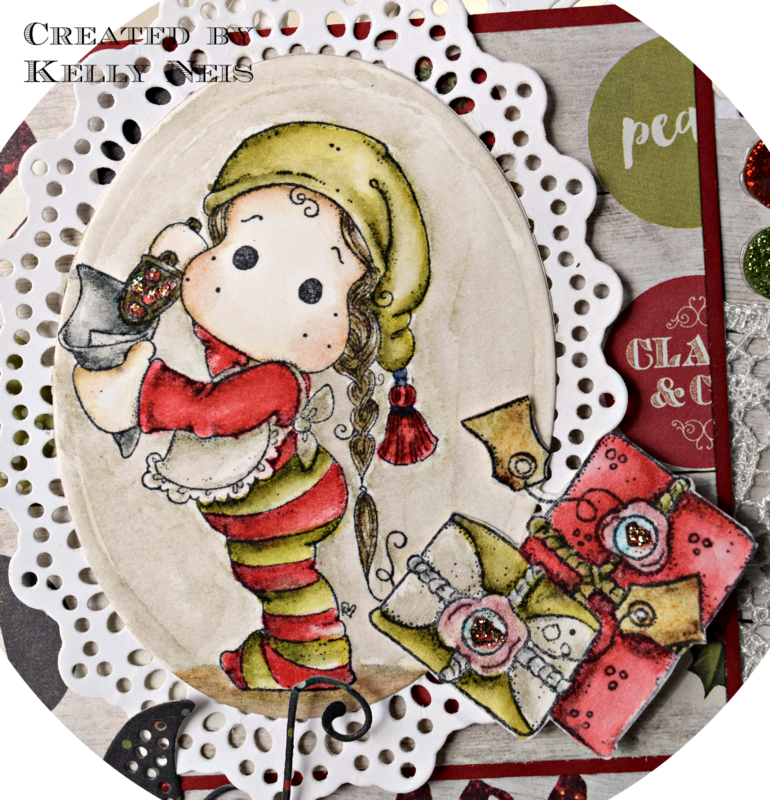 Stunning card Kelly, love the design and that sleigh is gorgeous! Thanks for joining us at Simply Magnolia and good luck! Such a beautiful Christmas card!! Love the image and the colors. So cute with the presents. Awww this is such a sweet card Kelly... love the traditional colour combo and the embellies are stunning! Wishing you and your family Very Best Wishes for Christmas and New Year! Just popped in to wish you and yours a peaceful and joyous festive season! Hope you had a wonderful Christmas. 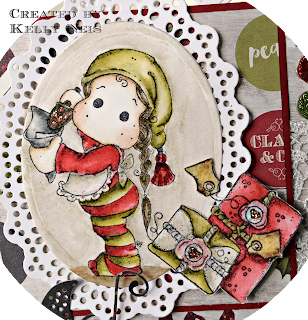 Very cute & festive card; love the beautiful sledge die! Thanks for playing with LLC again this month. See you again next year! HNY!